SteamboatToday.com is Steamboat Springs’ most popular local website with more than 10,000 users and 30,000 pageviews each day. About 30% of the site’s traffic is from Steamboat Springs and another 30% comes from the rest of Colorado. About 40 percent of all traffic comes from outside Colorado with four states — California, Texas, New York and Illinois — generating more than 1,000 users on the site each day. Traffic on the site has increased more than 20% and advertising has increased more than 40% in the past year. Do you know how well your business appears in search engines? Are you educated on which social channels are best for your business and how often to update them? Do you have a mobile website? Explore Digital is your local full service digital marketing agency. Whether you’re looking to learn how to manage these digital marketing tactics on your own, or need a partner to help you, Explore Digital can assist you in all aspects of digital marketing, including Social Media, Search Engine Optimization, or even managing pay-per-click campaigns. We customize a web marketing package based on your business’s goals, wants, and needs, and can fulfill all pieces to make sure your business has optimum web presence and visibility. ExploreSteamboat.com is an online business directory and tourist information guide. More than 700 people use the site every day, including over 100 people per day from California, Texas, New York, Illinois and Florida. Colorado accounts for 56% of the site’s traffic. The site gets more than 50,000 page views per month and is highly optimized for search engine results related to Steamboat Springs and Routt County. Nearly 70% of the site’s traffic comes from search engines such as Google, Yahoo and Bing. 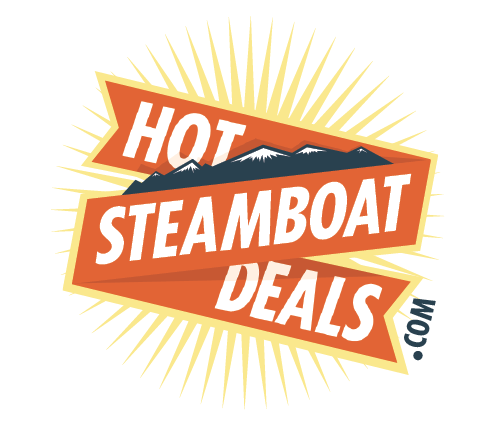 HotSteamboatDeals.com offers unbeatable, money-saving local offers for things to do, see, eat or buy in Steamboat. For advertisers, it’s an unbeatable way to reel in new customers. Each Hot Deal offer is emailed to more than 5,000 subscribers, and it’s promoted in the Steamboat Today newspaper and online at SteamboatToday.com, ExploreSteamboat.com and Facebook. For no upfront cost, Hot Steamboat Deals offers more than $2,000 in marketing value — plus new customers. And you can’t put a price tag on them! SteamboatHomefinder.com is Steamboat’s leading real estate news and information website with 300 users and 1,000 pageviews each day. 25% of the site’s traffic comes from Steamboat Springs, another 25% comes from the rest of Colorado, and another 25% comes from destination resort markets such as California and Texas. The site is the primary outlet for data on real estate sales in Routt County, and provides a full listing of properties for sale in the Steamboat Springs multiple listing service.